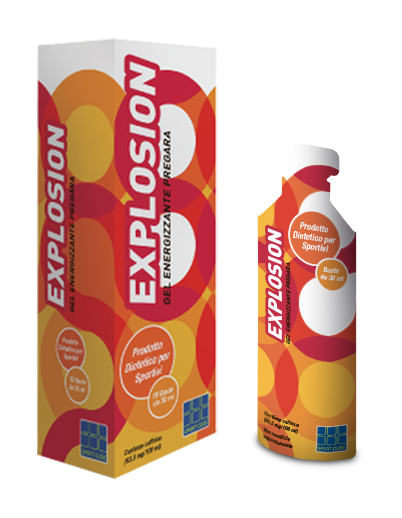 SportCube Explosion Gel is the innovation in stick! 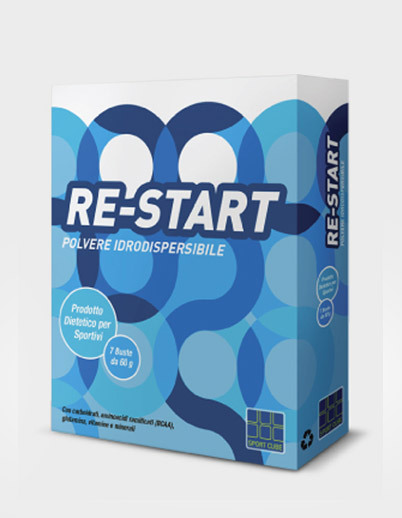 Food supplement with glucose, glucose syrup, fructose, D-riboseIntegratore a base di glucosio, sciroppo di glucosio, fruttosio, D-ribose, maltodextrins and isomalt. The right mix of these sugars, simple and complex, characterised by different release level and metabolisation, assures you energy during the whole duration of your physical activity. 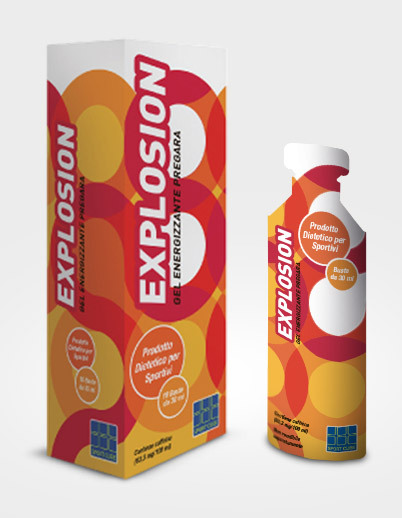 Take Explosion before and during your training session or during your competition! 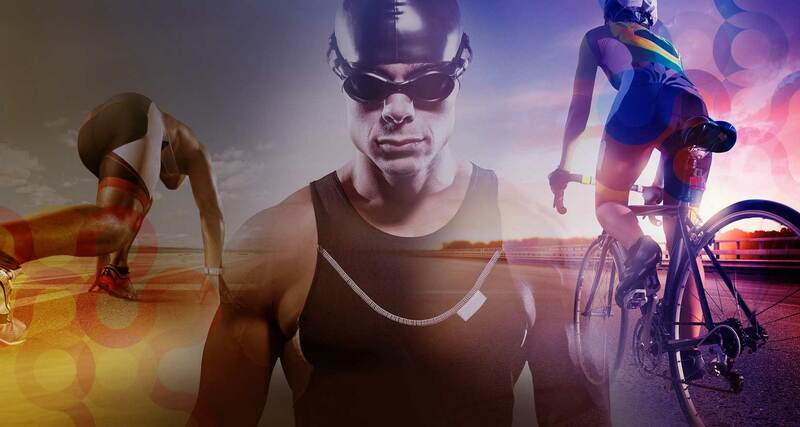 Re-Charge Hydro dispersible powder is a food supplement for sporty people based on maltodextrin, amino acids, creatine, ginseng, vitamins and minerals. 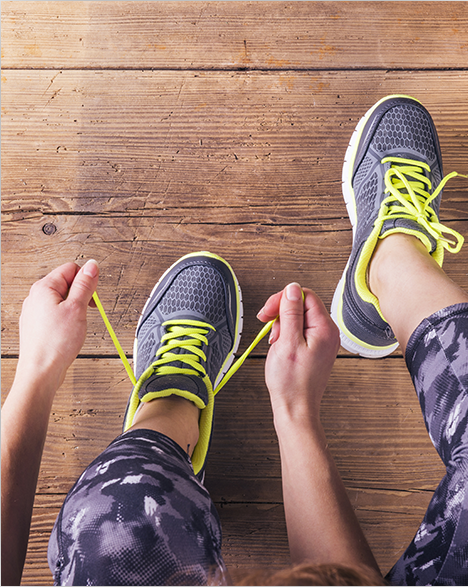 Magnesium and vitamins B1 and B6 contribute to normal energy metabolism and the reduction of tiredness and fatigue. Magnesium also contributes to electrolyte balance and to normal protein synthesis and with potassium contribute to normal muscle function. 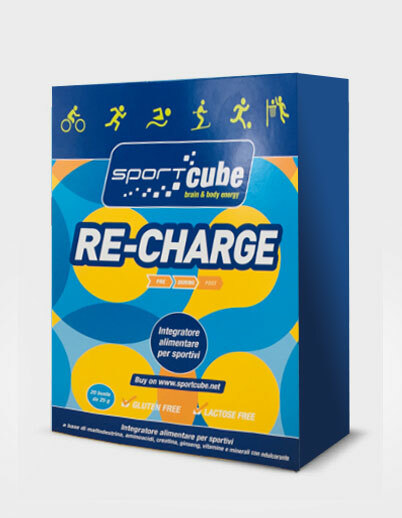 SportCube Re-Start is everything you need to go on after a prolonged and intense muscular effort! 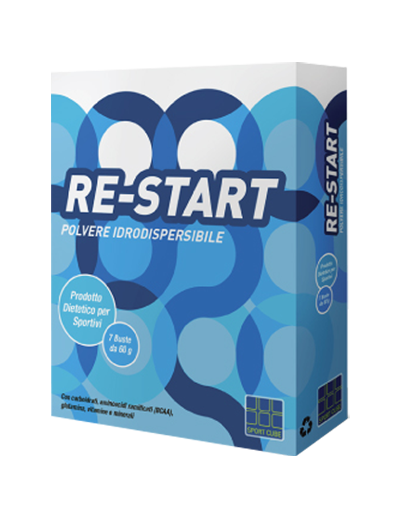 Re-Start is the water dispersible powder based on carbohydrates, branched aminoacids, glutamine, minerals, vitamins and nutrients, which reduces tiredness and contributes to immune system functioning during and after physical effort. 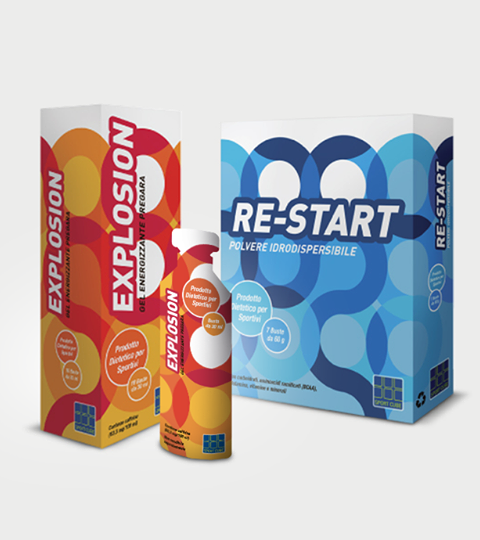 After your sport performance recharge yourself with Re-Start! 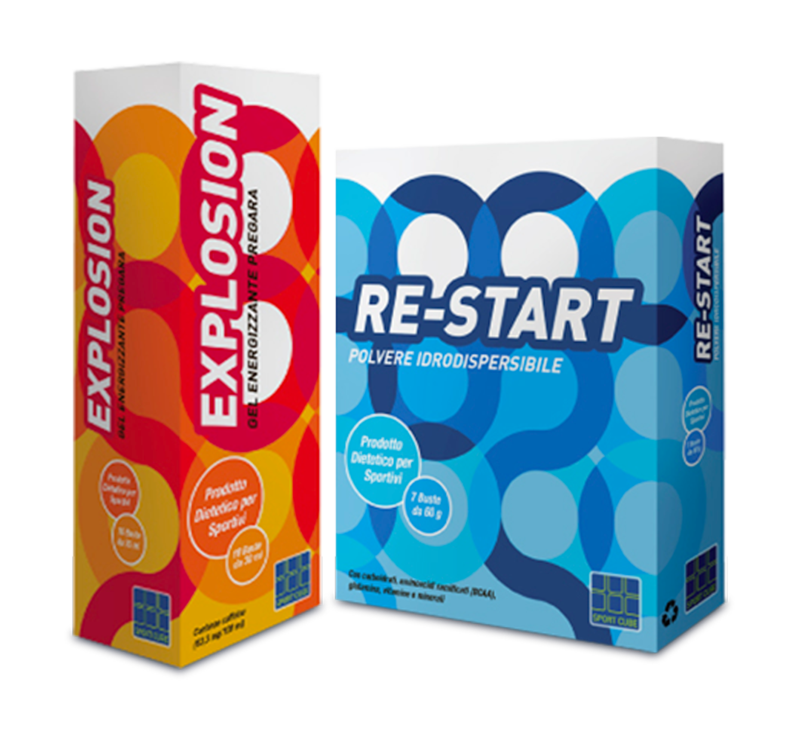 Pack of 10 EXPLOSION sticks + Pack of 7 RE-START sachets in sale at 5% discount only for a limited time period. 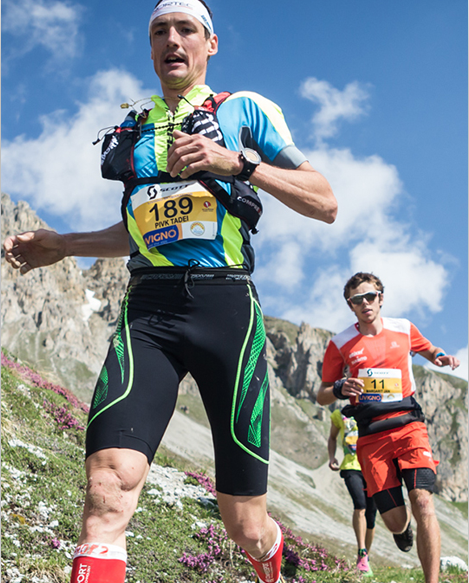 Sport means passion, commitment and effort. Power Bundle is a super energetic and restorative kit for intense physical activity and for every moment that requires an energetic surplus. He defines it luck. We call it talent. 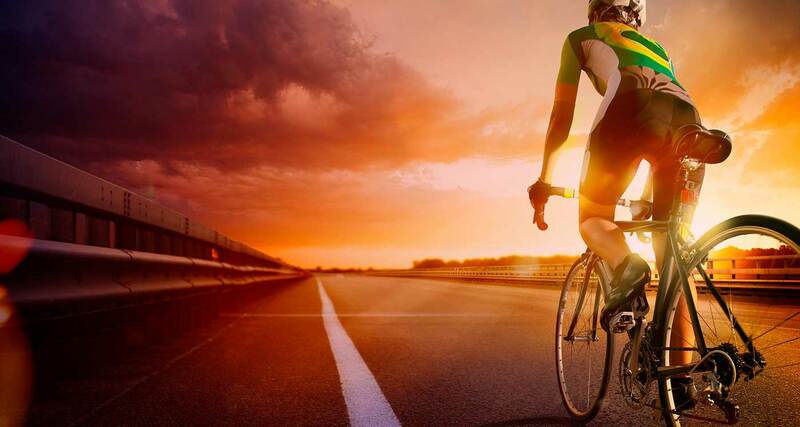 However, neither of the two terms is able to express all what it means to live the life of a champion: commitment, passion and a lot of effort. Tadei Pivk carries the mark of his unstoppable successes in his long legs, thin muscles of the arms, in his eyes full of light, which can talk more than himself, discrete and shy man. I am ready to challenge limits. History imposes them, human beings have to overcome themselves in order to generate new obstacles that will be broken. It is sport, like life is. Be special means really to make understand that your point of weakness is the one you are most proud of. You can take good drugs, and certainly sport is one of them.